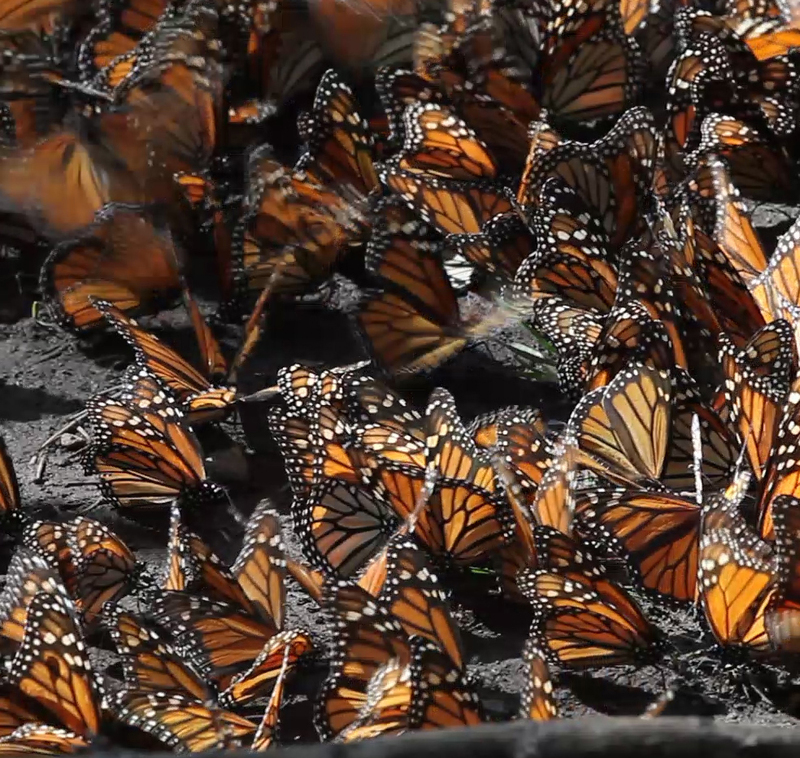 This story begins with monarch butterflies. 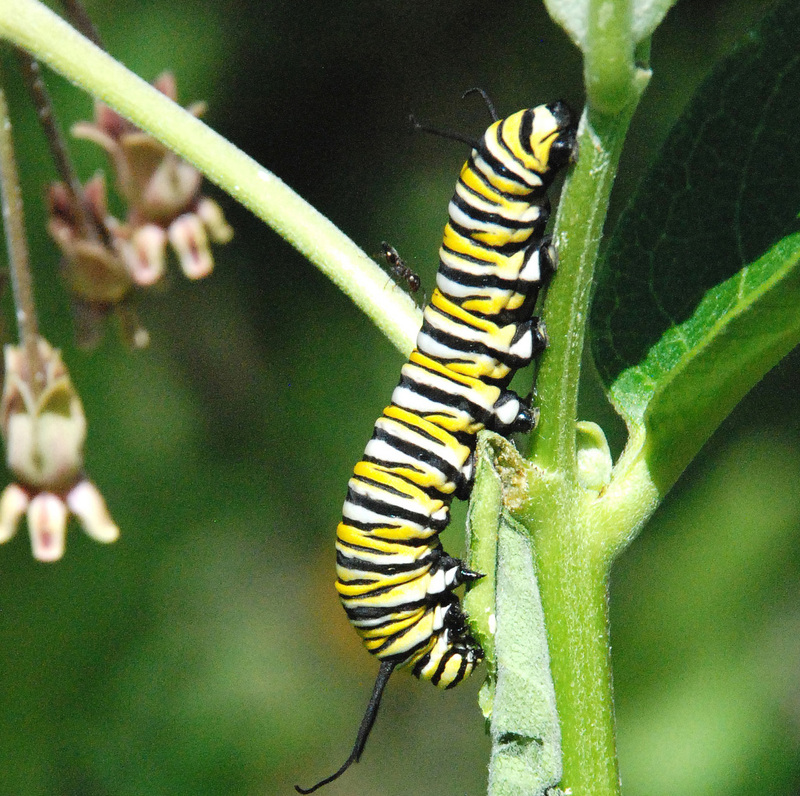 In their larval stage – as caterpillars – these much beloved, colorful creatures rely on milkweed as a critical food source. 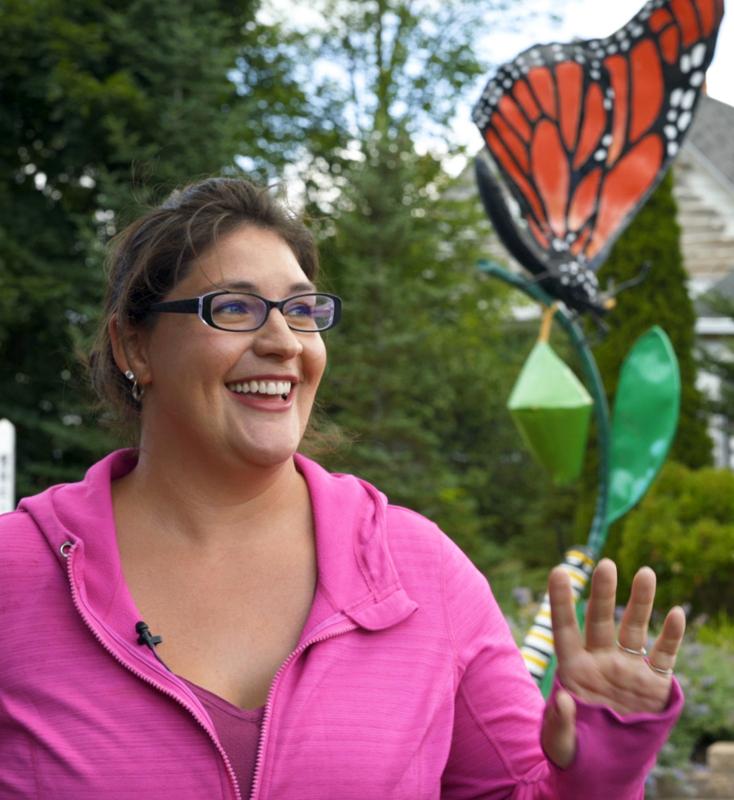 Lots of people have taken up their cause, planting milkweed and creating butterfly gardens, like this one at the Kingsley Public Library. 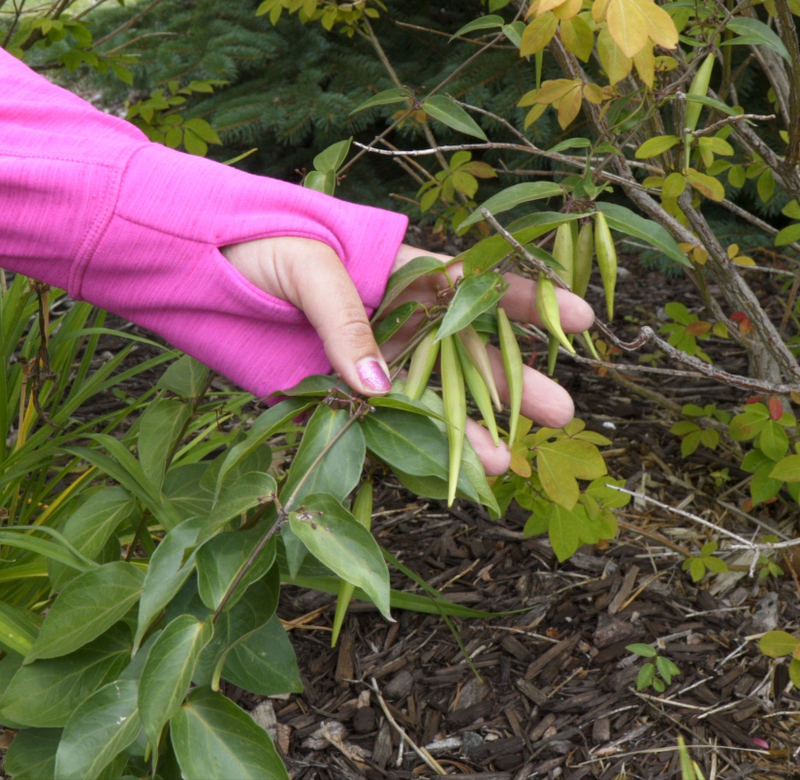 Introduced in the 1800’s from Europe, the black swallow-wort is a shrubby vine related to milkweed, with bean-like pods that scatter fluffy, airborne seeds. This villainous swallow-wort attracts monarchs that lay eggs on the plant. But its leaves are lethal to the monarch’s larvae. 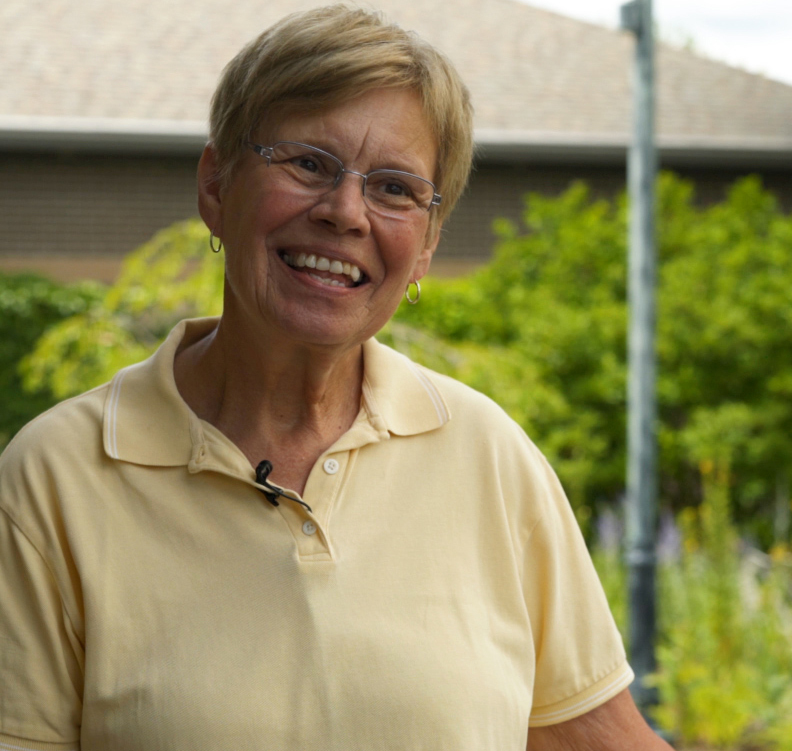 Looking for help, Mary called the Northwest Michigan Invasive Species Network (NMISN). This regional, nonprofit organization helps people identify and control invasive plants discovered in Benzie, Grand Traverse, Leelanau and Manistee Counties. Trained staff members visited the butterfly garden and confirmed Mary’s fears, this was indeed the first time black swallow-wort had been discovered in their four-county service area. Soon after the confirmation, the NMISN conducted a quick survey of the entire Village of Kingsley. Unfortunately, swallow-wort was found in numerous locations around the Village. So, a team of staff members and volunteers was called together and set to work killing this dangerous plant with selective application of herbicide. Apparently, herbicide is the best choice since simply pulling or burning the plants, can encourage aggressive re-sprouting of the plant. The NMISN says Mary Ludwick is a hero for recognizing and reporting the first occurrence of this aggressive invasive plant. 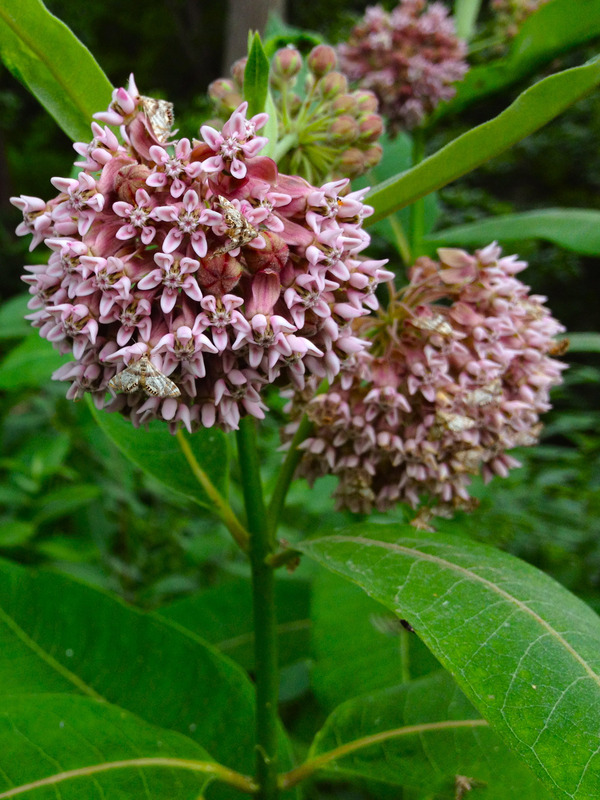 Since swallow-wort is a new invader in this region, it may be possible to control its spread and prevent additional losses of monarch butterflies. Contact NMISN if you see this or other unwanted invasive plants.